This is a blog about small fish, and the joy of catching them on the fly. 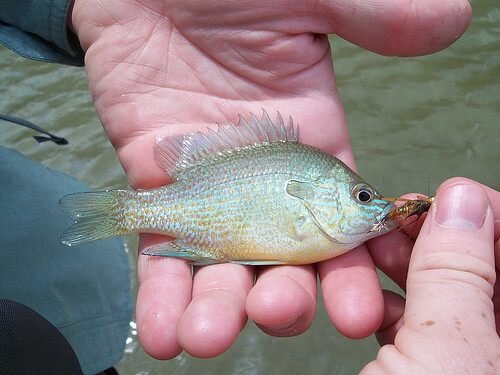 As the title suggests, Blue Gill and their near relations are the primary topic. By no means do I harbor antipathy towards large testosterone dripping fish that churn the depths into foam, though I cannot say that they have ever motivated me to pick up a rod. It is a thrill to catch anything. I do not believe in trash fish. I enjoy watching a 3 inch sunfish stare down my nymph as much as I enjoy seeing a tarpon expode out of the waves. So I hope, that on the off chance that someone reads this, you enjoy it and come to appreciate the beauty and fun that Blues and other micro fish offer.